Adorable figurine signed by Xavier Roberts. This is from the Special Thoughts for special people edition. Made of hand painted bisque porcelain. 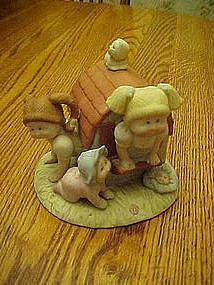 Adorable figurine measures 4 1/2" tall and is in pristine condition with original foil sticker intact also. Dated 1984.